Although outpatient or office-based interventional suites have been operational for many years, there has been a marked proliferation of these sites in multiple states in the past 3 years. It is estimated that nearly 700 office-based labs exist in the United States to date, and that number is growing rapidly. Office-based labs, also referred to as outpatient interventional suites, access centers, or office-based endovascular suites, offer many distinct advantages and provide an alternative care delivery model to patients, payers, and physicians that is believed to be more efficient and cost effective than many hospital-based interventions. Patient satisfaction is very high in these centers, which are dedicated to the patient experience and optimal outcomes. 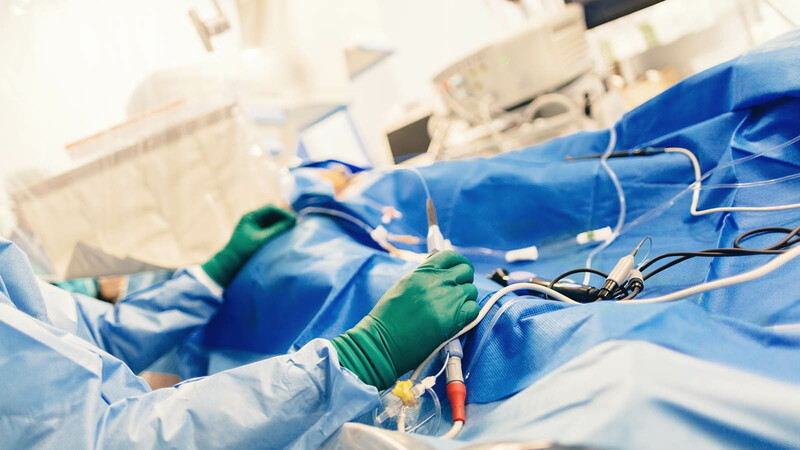 The Outpatient Endovascular and Interventional Society (OEIS) was conceived to address the unique needs and promote the attributes of these outpatient interventional suites. With the growth of office-based suites around the country, many physicians and affiliated organizations have felt alone and sometimes isolated in the process of establishing and building their practices. Until now, there has been no representation or collective experience to draw upon. The existing national societies, although supportive of the cause, have other interests that are often a singular-specialty focus. Additionally, there has been no formal representation to payers and regulatory agencies. A need arose to bring together physicians and independent facilities that have common experiences and goals and to ensure that cost-efficient, quality care is provided. The society was born out of a vision from a few individual physicians and then culminated at an Endovascular Thought Leader Meeting in Napa, California in April 2013. The discussions at the meeting sparked the idea to unite three specialties—interventional cardiology, interventional radiology, and vascular surgery—and foster key leaders. It was clear that there are similar concerns common to all centers, regardless of specialty or types of interventions performed, and there was great enthusiasm to develop a new society. A sentinel meeting took place in Dallas, Texas, on August 24, 2013. Fifteen founding physicians, five from each of the three specialties and representing different geographic areas of the country, came together to develop the society’s goals, bylaws, and objectives. In that meeting, the unity of purpose and approach to forging the society was remarkable. On October 24, 2013, the OEIS became an official nonprofit entity. Among the many goals of OEIS are to enhance the safety, quality, and efficacy of outpatient and office-based interventional procedures. To achieve that goal, the society plans to develop and promote standards of care, appropriateness criteria, safety, and outcomes measures unique to the office-based setting. The society plans to promote research and education regarding medical, economic, and longitudinal management issues relating to these procedures. It will also provide a forum to collaborate and share best-practice experiences among other practitioners. In these ways, the OEIS plans to enhance the endovascular and interventional fields by leading with innovations, product development, and modes of care delivery. With the nationally changing health care landscape, the society will help bring together experiences and thought leaders that are innovating ways to deliver cost-effective, quality care. Cost containment remains a core focus in outpatient interventional suites. The model of more directly aligning providers with patients’ best interests and high-quality care continues to drive expansion of these centers. Payers continue to support development of these centers because it is cost effective. To date, there remains a significant geographic treatment gap in the United States in regards to offering endovascular therapies to peripheral arterial disease patients with critical limb ischemia.1 Executed properly, office-based suites are positioned to positively impact patients’ access to affordable, quality care at a local level. In the future, further organized efforts will be needed to partner with other societies, service organizations, and industry to continue to educate CMS and other payers about the high value of office- and outpatient-based interventional services for patients and health care systems. OEIS will take a central and leading role in these efforts on state and national levels. In contrast to other, predominately single-specialty societies, our aim is to include practitioners from different specialties. The society aims to bring together like-minded physicians who are dedicated to patient-centered, quality interventions and concerned about appropriateness, safety, and long-term outcomes. Rather than be competitive, the leadership of the OEIS hopes to foster close partnerships and collaborative relationships with many established medical societies and specialists to work toward common educational, strategic, and advocacy goals. The OEIS also desires to seek unity, collegiality, and partnerships among a variety of specialists and industry organizations that traditionally have been quite competitive. It is increasingly important to band together around our common goals, not only to defend against the whirlwind of health care changes but also to lead toward improving processes and incentives. Together, we will aim to build the platform for value-based purchasing related to endovascular procedures and various interventions. Read OEIS President Dr. Jeffrey Carr’s 2014 Endovascular Today article introducing the OEIS. Learn about the CVC and its mission to advance patient access to community-based cardiovascular and endovascular care. OEIS is serving and evolving the outpatient endovascular community through advocacy, education, promotion, development, and support. Be a part of it – make a difference.